Stampin' Up! has offered Digital Downloads for a few years now, and the sweetness gets better and better each year! These downloads were created to be used in our digital software program, My Digital Studio. With MDS you can get almost all of our papers, embellishments, Project Life collections, and stamp sets (plus quite a few Digital-exclusives) in digital format to make your own creations - we even offer professional printing services. This is a great option for creating multiple family gifts like Calendars and Memory Books of special occasions, but you can also create cards, gift tags, and party decor! I'd love to share a few of my favorites - these are the super easy one, naturally! ;-) Most you can just print at home and run with!! 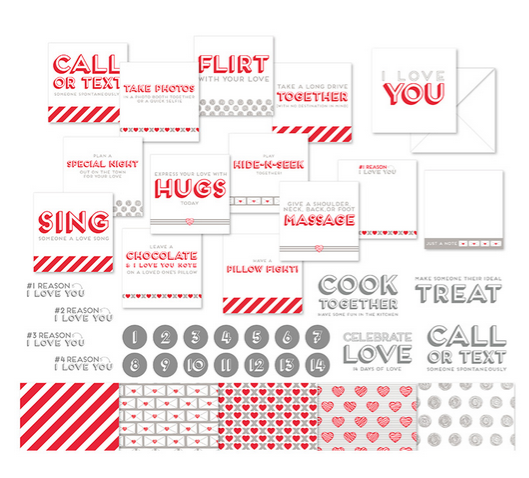 Count Down the Love digital download by Stampin' Up! The first, to celebrate my Countdown week, is the Countdown the Love Template!! This cute set has notes and activities you can put in the 14 envelope templates to share with your sweetlings. From "Draw a happy picture for someone", to "Reasons I Love You" cards, its a really fun set! It includes nine 8.5" 11" pages to print, fill out or fold, and use for your countdown. Then there is ALSO a 56-piece SVG stamp brush set, 5 Designer Papers, and 6 embellishments you can use to create party invitations, scrapbook pages, or whatever you can dream up! You can have alot of fun with this set, year after year. 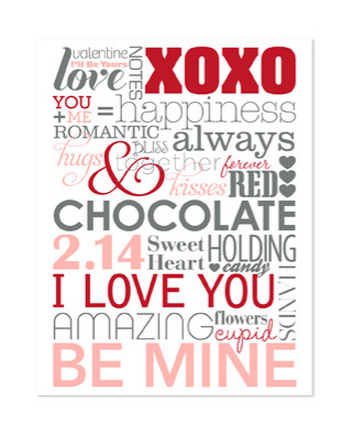 Be Mine Frameable by Stampin' Up! Then there is this Be Mine Frameable Designer Template. Love!! You just Print, Frame, and Gift! "...for the quickest Valentine yet!" Sweet music to my ears!! 33 of the images in the 8.5 x 11" print are also included as stamp brushes, so you can customize colors and use the pieces in other creations. A great deal at only $1.95!! All Digital downloads are immediately available after purchasing, so this is perfect for last minute gifts or decor. 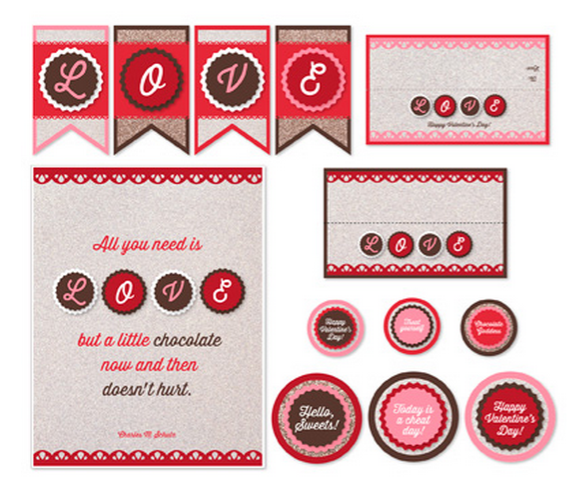 Valentine Love Ensemble by Stampin' UP! The last one I'll share is perfect for those class parties or to decorate your home. The Valentine Love Ensemble has six easily printable 8.5 x 11" decor pieces, and a bunch of other element pieces to create your own mini-banner, treat toppers, name cards, valentines, and more! A good versatile set to get! These products are shown below, just click on the image to view it in my Online Stampin' Up! Store. To view the entire Digital Download section of my online store, CLICK HERE. Purchase any of these digital sets and you can download them immediately. They will work with most digital image software, but we also offer a FREE 30 Day Trial of My Digital Studio if you'd like to see how easy and capable this program is! I hope you find these Digital pieces useful, sometimes its nice to be able to customize and print your own personalized and custom stuff, made beautiful with these Stampin' Up! elements.